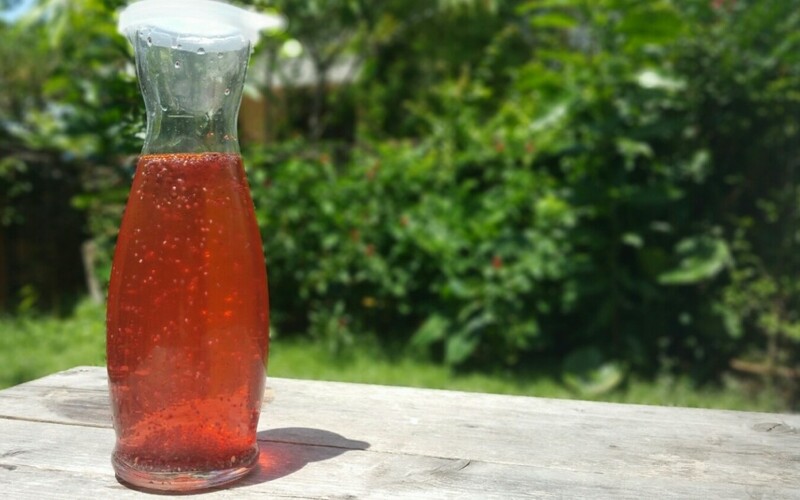 This simple drink is super easy to make. First squeeze some fresh cranberries (can be thawed from frozen) into your water. I use reverse osmosis water as it takes out all the fluoride and chlorine from the water. Mix and enjoy – the chia expand and swell over time and are super for your digestion, add fiber which is great for your waist line and weight loss and fantastic for immune support and gut health. Helps the liver and kidneys too. Enjoy. Its Yummy and will help you to boost your minerals, vitamins and daily water in take.